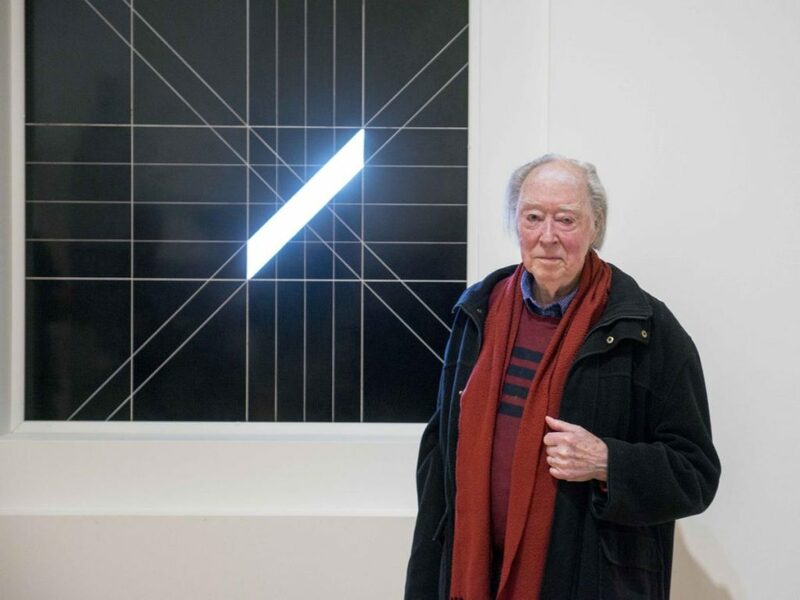 From March 22 through July 1, 2018, the Guggenheim Museum Bilbao presents the exhibition Closed Circuit, featuring works by the renowned Canadian artist Michael Snow (Toronto, 1928), a major figure in the development of experimental cinema, moving image installation, and conceptual photography since the 1960s. With this new exhibition, the Guggenheim Museum Bilbao launches the 2018 program for its Film & Video gallery, a space that is entirely devoted to the presentation of key works of video art, film, and contemporary practices addressing the moving image. Moving freely from one discipline to another, Michael Snow reflects upon the world’s systems of representation, visual and not. For him, the materiality of the filmic image—its temporality, sound, color, and luminosity—is as important as what is represented. In this sense, the artist understands film as a kind of sculpture of light and time, and devises objects that will monopolize, deflect or block the spectator’s view, thus revealing the artwork’s capacity to create specific circuits of attention. While presenting a variety of formats and production periods, the four works making up the exhibition Closed Circuit have a common feature—the image is radically dissociated from film support. Sight (1968) is a structure of aluminum and plastic mounted on a window, restricting its view to a limited diagonal. This unusual framing makes perspective disappear, forcing us to look instead at the totality of the art object, which is simultaneously the frame and the landscape it frames, in the manner of an oblique camera. The work Site (1969/2016), a deliberate homophone of the previous piece, is a structure of stainless steel accompanied by a short text that evokes the sea and its motion. The artist replaces the image with the word, and the place evoked by the sculpture as site. What is presented is not an image, but the idea of an image. In proximity to these works, two video devices explore other links between image, sculpture, and place. The Corner of Braque and Picasso Streets (2009) uses a fixed camera to project a real-time view of the exterior of the Guggenheim Museum Bilbao on a screen made out of pedestals from other exhibitions. This sculptural device gives rise to a form of ephemeral cinema that captures the everyday life of the city with no filter or human direction. Meanwhile, the work contains a dual reference to the history of painting: as a window on the world—a recurrent theme in much of Snow’s work—and also as a ‘Cubist’ piece. The image wanders amongst the many volumes onto which it is projected, evoking the early works of Georges Braque and Pablo Picasso. 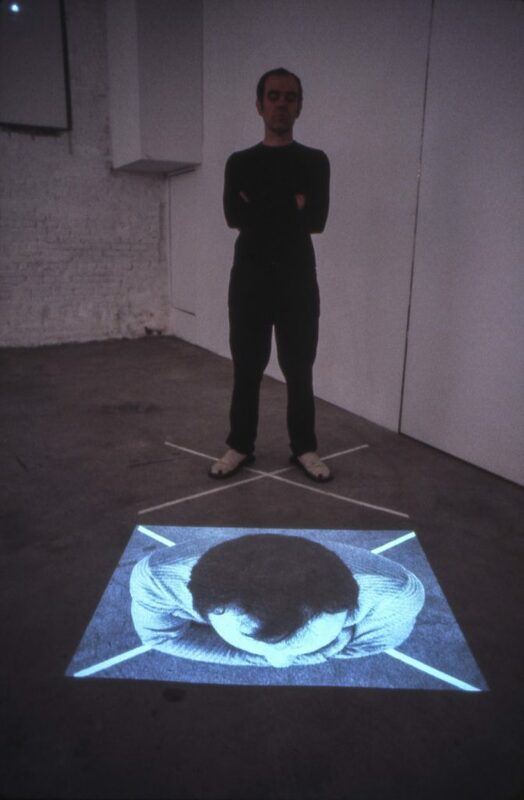 In the meantime, Observer (1974) directly involves the viewer’s body, which is pushed to stand on a large X marked on the floor where a camera will capture its image in real time. As a result, the viewer enters an odd loop to appear as simultaneously observer and object of vision. Playing with perspective and depth of field, Snow offers each viewer a direct experience of the flattening effects of video representation, a disquieting moment of two-dimensionality.